The two Nations that the Users have to select from when they start game is the breaking point. Users will have to face the other Nation anytime, anywhere starting from a certain point and the Nation War will follow. Fame can be used for personal or Guild Activity and it will become a method to raise the User's own reputation. Finally, there's a Nation War System for Guilds. Besides the Guild House War and Nation War, players can enjoy Requital. This is a War system between Guilds with Guild Houses and they must hunt Monsters to earn prizes. 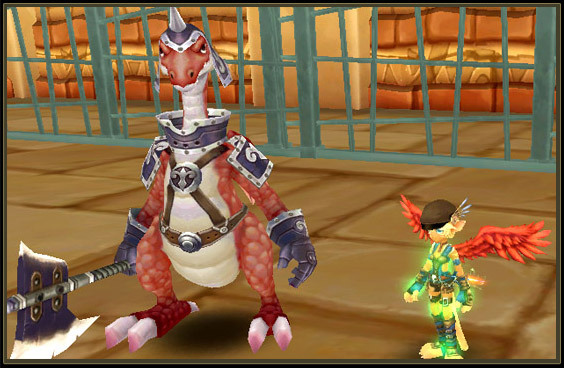 It's two in one because the Guilds can raise their Fame as well as receive reward items! Let's not forget that this can only be done if you are a Guild Member. Furthermore, the Guild that you are registered in has to have a Guild House and this can only be done with other Guilds that are the same Rank as each other!! 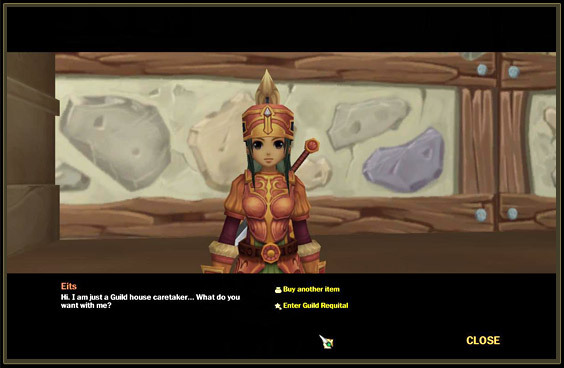 The Guild Masters of the Guild Houses may challenge a Requital through the Guild House Owner NPC. You may apply through the Guild House Owner NPC. Quick TIP : 1000 Guild Fame will be lost for attending the Requital, and a message will be sent through all the Guild Members on both sides that can enter. a. Users may enter after the entrance message and the Battle Leaders will be selected in about 5 minutes from the players that are already in the Requital Zone. b. The Battle of the Leaders selection basis is two of the highest Level of each Class. This leads to a total of 12 excluding the Commander. Do not forget that if there isn't enough Users of each Class, it'll select any of the Users who are the highest Level as a replacement. c. Each player will be teleported to their own Nation and the Gateway will be opened in about 2 minutes. After that the Monster Hunt or Battle will begin. d. The battle will go on for about an hour and the Guild with the Higher Score will win and automatically be given the reward and teleported to the Guild House. Quick TIP : The Battle of the Leaders can also be called a 'prebattle' with other Guilds to see how they fair because only the strongest members of both sides participate. 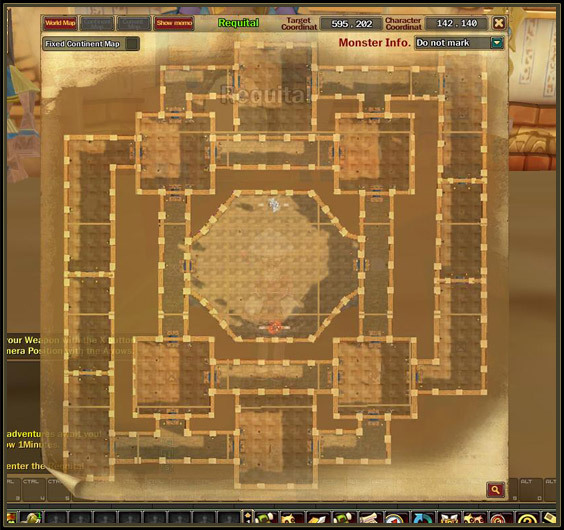 The non participants may watch the Guild Member's view inside the battle by pressing the F4 Button. When to apply and when to start? Requitals are only done once a week. You will regret if you miss out for a whole week!! Let's not waste time during the week and instead, take a look at the Time and Day now!! Be aware of the time because you will only be able to participate if you know the schedule and how to enter without problems. 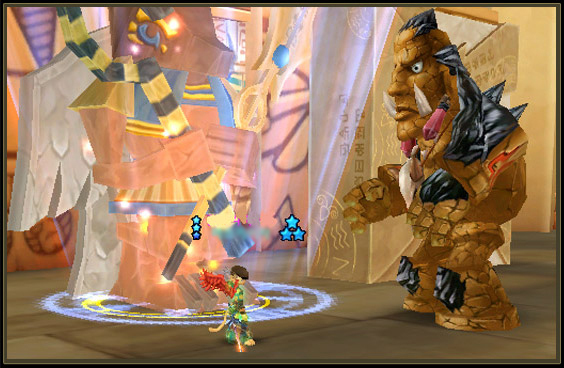 The reward can be obtained by defeating the Center Area Monster that is called out by destroying the Anubis Statue. Also, players will receive another prize after achieving victory in the Requital. Therefore, there will be a fierce battle to win this. You obtain the Reward item by destroying the Anubis Statue and killing the Monster that is summoned. a. Reward from Monster Hunting : Users will be able to obtain a reward by defeating the Monster that is summoned when the Anubis Statue in the Center of the Map is destroyed. b. Reward for Victory : Let's find out what the prizes are by entering and winning!! Victory is claimed by balance and mobility. New Style of Cloud Nine War System!! The Guild Wars are available as well as Nation War. You can obtain more rewards and Nation Fame by attending the smaller Guild War.